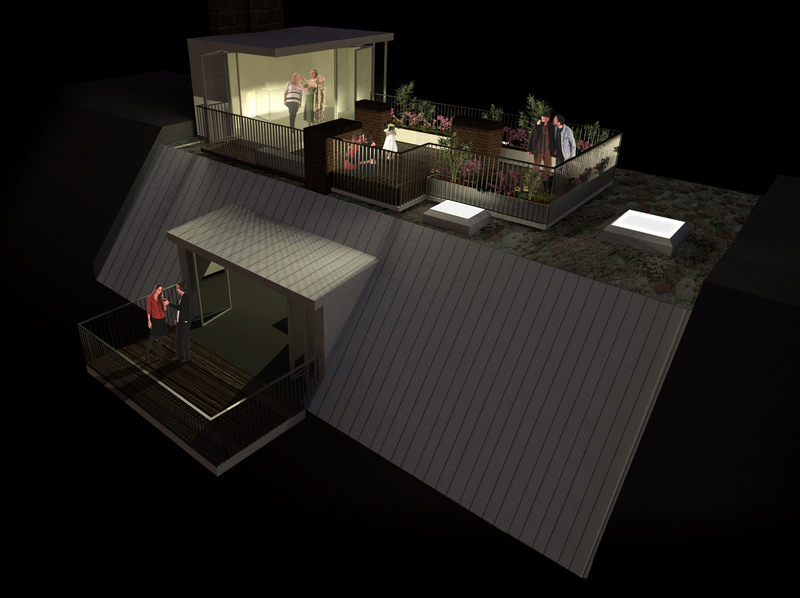 SPAR*K designs an individual attic for a couple, a musician and an artist. 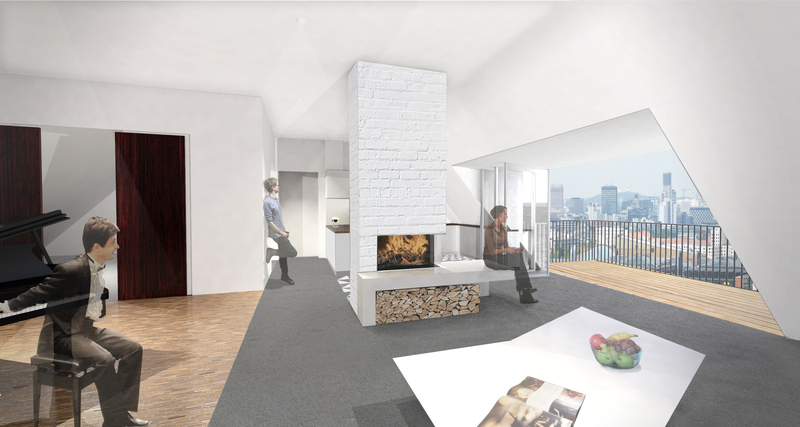 The individual apartment has a studio and a rooftop terrace and is located in Berlin Neukölln. 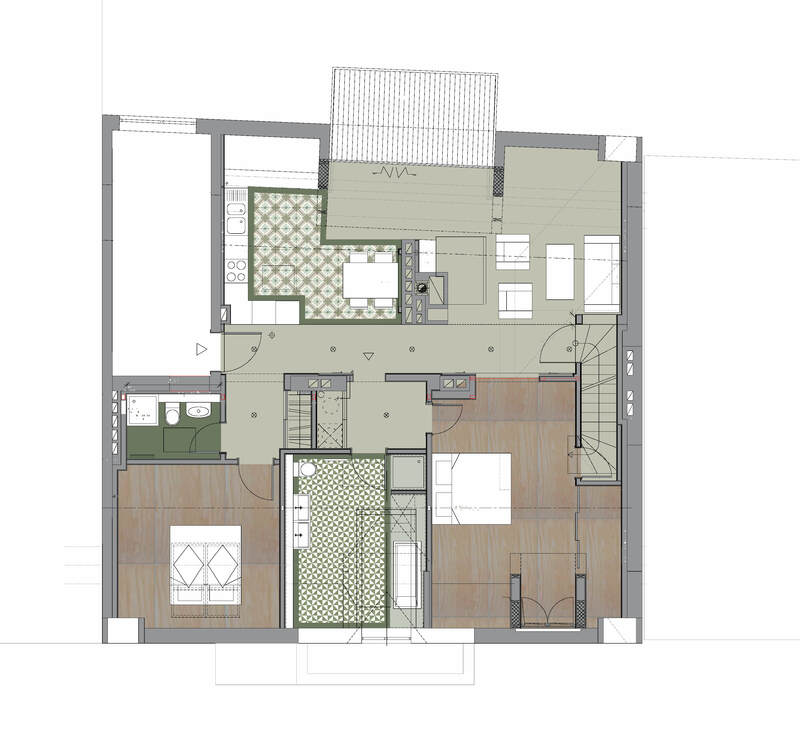 The focus in the design lies on the couples’ requirements on living and working, and on individual scenarios with friends and family in the apartment. Living space, studio and bedroom can be combined and divided via large sliding doors to different constellations. A spacious balcony with foldable door expands and transforms the space in summer into an outdoor kitchen and living room. An internal staircase leads to a winter garden on the roof with panoramic view over the city, connected to the private rooftop terrace with lush green.